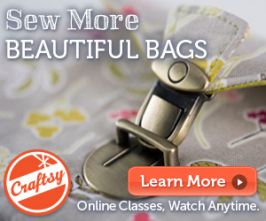 Craftsy class launch. 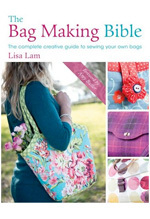 Sewing Structured Bags - Purse Frames and Beyond by Lisa Lam Get 50% off! 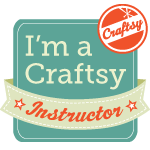 Thanks for being interested in my new Craftsy Class. To get 50% off my new class all you need to do is sign up to our newsletter. The newsletter is sent out once a week (usually Saturday). Inside it will be a special 50% off discount link. If you are not subscribed to our newsletter please fill in your info in the boxes at the top right corner of this blog (where funnily enough it says 'NEWSLETTER'). If you are already subscribed you don't need to do anything. We'll be sending out the Craftsy Class discount newsletter this weekend and we'll send it a few more times In August 2016. For now our Newsletter is the only place in which you will be able to access the 50% off class discount. So what is my new class all about? Here's a trailer! This class is about getting to grips with purse and bag frames. In the first half of the class we focus on purse frames. I have a strong belief that in us there is a purse frame purse addict waiting to be let out! Purse frames look so boutique-bought and expensive, they are perfect stash-busters and they take no time to make. In a hurry for an exclusive-looking clutch for your party/wedding/cruise? Need a glamorous present for your friend/mum/aunty? Need it by tonight/tomorrow? Don't want to spend a fortune, but want an expensive looking result? A purse frame purse is the perfect answer! The second half of the class focuses on internal bag frames. I show you step by step how to make this deeeeee-licious carpet bag. The bag features a cool (and very practical) bag frame similar to the frames that doctor / Mary Poppin's bags use. This full-featured carpet bag looks extra special with it's smart lock, roomy pockets, leather bag handles and hard base, complete with feet. It has 'looks fabulous anywhere' kind of style! I made this rather yummy version in Cotton and Steel and pleather fabric, and it's mine, all mine! We'll be sending out the Craftsy Class discount newsletter tonight at 7.30 (GMT) and we'll send it a few more times over the coming weeks. For now our Newsletter is the only place in which you will be able to access the 50% off class discount. Judging from comments received from you, visitors to my house, the girls in the office and whilst I've been ferrying it around from my house to office. I think it's fair to say that this bag has WOWZA status. She has curves, height and she has room! She just looks like a 'proper bag' - and everything. I think it's the resin purse frame, it just tops off your fabrics so beautifully. The frame is artistic, grown-up, yet ever so slightly cheeky - all at the same time. Thanks to this amazing fusible foam the bag is beautifully structured - it can stand up by itself, yet it is still soft (so she won't knock unpleasantly against your leg). She's secure - the integral handle has a built-in flip latch. She looks so professional - we think she has high-end 'boutique' looks! Available as a BLANK purse making kit and 'fabrics included' kit. This bag would look amazing on holidays, with a pretty dress, or with scruffy jeans. We all love a bit of Polka Dot. This warm lilac grey dot sets off the cerise pink a treat! Inside you'll find a lining pocket for your smaller items. Thanks to everyone who took part in the naming competition for this purse. 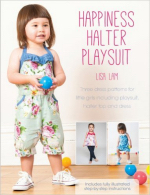 The pattern for it will be launched in a day or two. Thanks to Sue Staniland we have christened this bag: 'Fill me up Buttercup'. "I'm thinking of "Fill me up Buttercup" don't know why it just popped into my head!!!" Oh we do like to be beside the: seaside/sunny sidewalk/swimming pool. Or anywhere outside, feeling mighty happy in the glorious sunshine! 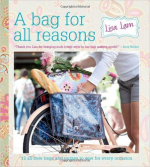 And I have designed a pretty bag to accompany you on those sunny walks and trips. I wanted to design an easy going, easy to use, (but no less smart-looking) bag that is both roomy and practical for the beach or the park etc., but still stylish enough for a spot of shopping or even a cheeky city break! According our office Squealometer© mission has been accomplished and ratings were very high on this one! We think this bag is ever so pretty - but she is absolutely no less useful for it. Thanks to the yummy bag base gathers she looks neat and tidy when you've less to carry. And when you're having a 'kitchen sink' kind of day - she will happily expand to accommodate. The bag is definitely one of those: 'so easy to use, you'll reach for it again and again' kind of bags. It is wide at the top so it's easy to shove things in, and quickly fish them out. The closure is a (simple to install) zipper so you can cram your bag full and not worry about loosing anything as you run for the bus. Inside there is 1 decent sized pocket for your smaller valuables, of course you can add another pocket if you fancy. You might be thinking, a bag this useful and pretty comes at a 'skill-rating' price, but you need not worry. This bag is not tricky and it can be made in 1- 2 evenings of (reasonably) uninterrupted sewing time. Honest! She's secure - the bag has a (genuinely) easy to insert zipper closure. She looks so professional - we LOVE how the Faux leather handles nicely finish-off this design. She looks so pretty - loving the wide curvy top edge and the sweet gathers. She's versatile - she looks just as great on the beach as she does on a smart shopping street. Lunch break? Why not pop down to the beach to catch some rays, read a book and eat your sarnies. Laaahvely! We love the new Faux leather handles, they look totes professional and easily look like the real thing. They add a nice contrasting touch of 'grown-upness (or bought-in-a-boutique feel) to the pretty fabric gathered design. We do like folks to be astounded when we say, "yep this is one of my creations'!" As you can see in the pic, the bag is laden light - so she looks neat and compact, but if you chuck loads of stuff inside the gathers will expand to give the bag a pretty cloud /pillow look. Lunch sorted. Now for a nice beach stroll back to the office. We'll select the winning name end of next Weds 8th (GMT) and announce the winner the following day. Protect and carry your specs or sunglasses in style in this natty-looking glasses case. Pop the case in your handbag or clip on the chain and carry it on your shoulder. The case is made with fleece which will help protect your glasses. The case's lovely 3D shape comes courtesy of the corner darts - they help enable even Hollywood film star style massive sunglasses to easily fit inside the case. The case uses a sew-in purse frame - which is great news for glue-phobics. In this kit I show you how easy it is to use sew-in frames with tip and tricks on how to get professional-looking results and best of all you'll be left with a very cool-looking glasses case at the end! She looks so professional - see above. She's not nearly as hard to make as you might think - I promise. To make life much easier I have included loads of clear helpful pics. Available as 'fabrics included' kit. A Pattern and BLANK kit will be released next week. Pop the case on your shoulder (you can also fit inside credit cards and a lip balm, so the case is perfect for sunny strolls. As you'd expect, the case fits comfortably in your hand. Even if you're a fan of glue-in frames, I think you'll agree the stitching on sew-in frames looks pretty enough to be a design detail! Perfect stitching inside and out. Instructions are included to show you how to achieve neat (non-wonky) purse frame stitches. Thanks to the darts, the case easily stores my big (Willy Wonka/Jackie O glasses. Believe it or not this super-cute pattern was the first pattern I released for sale - almost 10 years ago!! Say what?!! That's quite a chunk of time. The Kyoko Pouch pattern is an enduring customer fave - with many of them being made for weddings, parties, dates and the like. We thought it was high time that this lovely pattern was given a modern pep-up. I must say, I am bowled over by the bag style photography skills of the U-Handbag girls. Their efforts will make a great, future behind the scenes blog post. Try making this pouch in cottons, linens, or wools for a pretty day bag. Or try making this pouch in satins, silks or velvets (and adding a flower corsage) for a gorgeous wedding, party or special occasion bag. Yum! Available as a BLANK purse making kit; a FABRICS INCLUDED purse making kit and a Sewing Pattern. The one of the best things about sewing is that with your choice of fabrics items looks so different. I've seen the Kyoko pouch in ditsy flowers, tweed wool and damask satin and - we think and this version of the Pouch looks striking and uber-stylish in Ellen Luckett Baker's Half Rounds fabric. 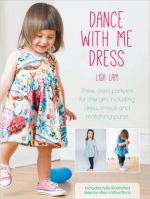 I think the colour-block dress is also rocking it too!